I am a native of Berkshire County , I graduated from Drury High school and Mass College of Liberal Arts with a degree in marketing. I have been in real estate for over 30 years. I started Steepleview in 1998 with offices in Adams and Great Barrington. Over the past 18 years of operation I have expanded my company to include 20 agents with physical locations in Egermont, Pittsfield, Adams and North Adams. 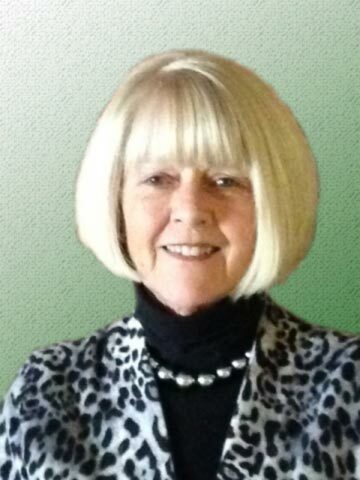 I am also a Licensed Broker in Ma, VT, NY & FL . 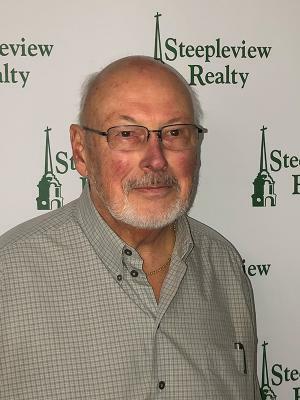 One of the well known attributes I also bring to Steepleview is that I am a state certified real estate instructor with 26 years of teaching experience and we have a real estate training center in our office to help educate our associates on a daily basis. 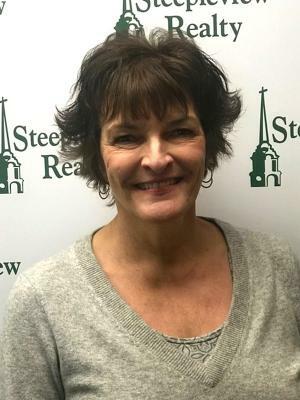 An Adams native and graduate of Gateway School of Real Estate, I have been practicing Real Estate full time for over 25 years and have been associated with Steepleview Realty since its beginning and became a partner in 2015. I hold both a Massachusetts and Vermont Real Estate License. My back ground in real estate began over 40 years ago when I purchased my first property. Since then I have owned and managed numerous rental properties in the area. My personal experience has lead to a specialization in residential and investment property sales. I am also a certified energy auditor and worked in the energy conservation field for over 10 years. I lived in Cheshire for 20 years but recently decided to move back to Adams where I currently reside. I have three grown children; Kristy, Michael and Daniel and 7 grandchildren. A Massachusetts Broker and CBR (Certified Buyer's Representative), a Vermont and New York sales agent, and an Adams native I am a 1984 graduate of the Lee Institute of Real Estate. I have been an active part of Berkshire County Real Estate for more than 25 years. Although I have lived in many parts of the country, I call Adams my home and have been back here since the 80's. I have been with STEEPLEVIEW since it's inception in 1998. A Multi-Million dollar selling agent in Berkshire County for many years, I pride myself on professionalism and compassion for both the home seller and home buyer. I have experience in modular construction, and can guide a buyer through purchasing land and building their dream home. Helping many first time home buyers realize their dream has been has always been a pleasure for me. Watching and assisting buyers and sellers moving on to the next stage of their lives has been a most enjoyable part of my career. I am thrilled when I hear from or see a past client and enjoy the referrals they send to me! Real Estate has allowed me to enjoy traveling with my family and friends, learning about different cultures and sharing that knowledge with those around me. If you see me on the street or in a store, Stop Me! I'd be happy to discuss Real Estate with you! Growing up in the area and residing in Adams, I am proud to call The Berkshires my home. Real estate piqued my interest while I was teaching music in the public school systems of North Adams and Adams-Cheshire during the 80’s and 90’s. 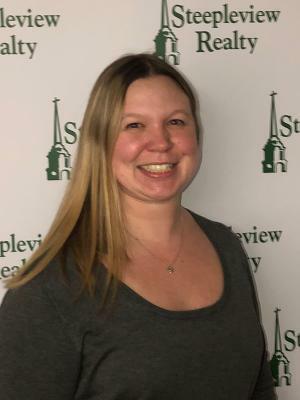 My real estate career began nearly 20 years ago when I passed my Massachusetts State Real Estate Exam, obtained my MA real estate license and started my business with Steepleview Realty the year it opened its doors…1998. 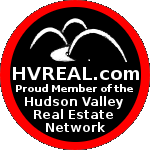 Since then I have acquired real estate licenses in New York and Vermont, giving me greater opportunities to work with buyers and sellers in the tri-state area and helping them to achieve their real estate goals. I attribute my success in the real estate business to Steepleview Realty’s team oriented approach, on-going educational opportunities and training sessions provided by the company AND to my prior professional experience as a licensed music educator in the region, working with faculty, students and staff where I developed many of the skills I use on a day to day basis with my clients and customers. When I’m not immersed in real estate, I love to travel, spend time with my family and friends, sing, and serve the community at large through various projects and activities…where I feel I can make a difference in people’s lives. My husband Paul and I have three grown children: Evan, Katie and Nathan and 2 grandchildren. A lifelong resident of Berkshire County and a 1984 graduate of MCLA, I hold a Bachelors Degree in Marketing. I have been active in Property Management and Real Estate Sales for over 25 years specializing in Residential and Multi-Family sales. I make my home in North Adams and live in a beautiful Victorian close to the MCLA campus which I share with my sweet little dog Meika. I Like to garden, craft, Theatre, music, art, motorcycles, boating, golf and food! I am a hometown girl that loves her area. If you want to know about the Berkshires I will be happy to give you a tour and I am sure you won’t want to leave when I’m done! I am licensed in Massachusetts, Vermont and even in the sunny state of Florida. I am a world traveler that likes to visit other countries to see how the other half of the world lives. Best of all, when it gets cold in Massachusetts, I head to the Treasure Coast of Florida where I also work, own property and it's where the rest of my family lives. So, whether you like it hot or cold or both, I got you covered for all your real estate needs. I hope you find me knowledgeable and interesting enough to work with. I look forward to meeting you and remember: there is no such thing as strangers; they are just friends we have not met yet! A native of the Berkshires, my professional background and passion for working with families and children led me into the world of real estate. I am an experienced Realtor who cares about getting things done and doing them right. Whether you are interested in buying or selling property, I look forward to working with you. I was born in Boston, but raised in Connecticut. I settled in the Berkshires 18 years ago to open up a restaurant. I am the proud Co-Owner of Freight Yard Pub in North Adams. As my restaurant has grown to be successful and doesn't need as much of my attention I decided to go into real estate. 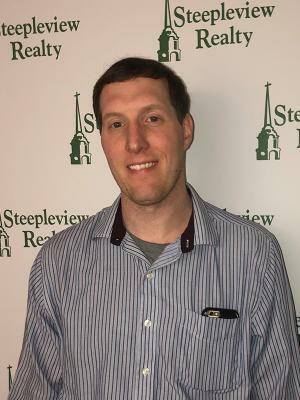 I received my real estate license in 2007 after completing the Gateway School of Real Estate course and decided to join the Steepleview family because of their progressive philosophy. I look forward to serving all of your real estate needs . 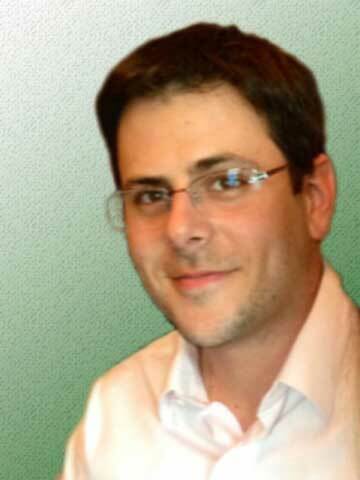 I joined Steepleview Realty in the spring of 2011 and have been selling real estate since 2003. 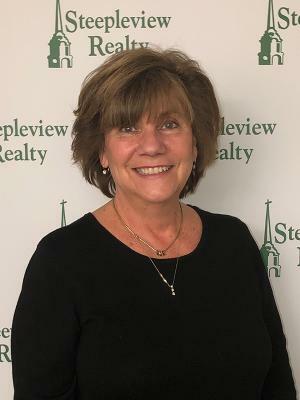 I am a life long resident of North Adams with my husband Michael and two son's Shane and Tyler.I look forward to serving my past and future clients now at Steepleview Realty. 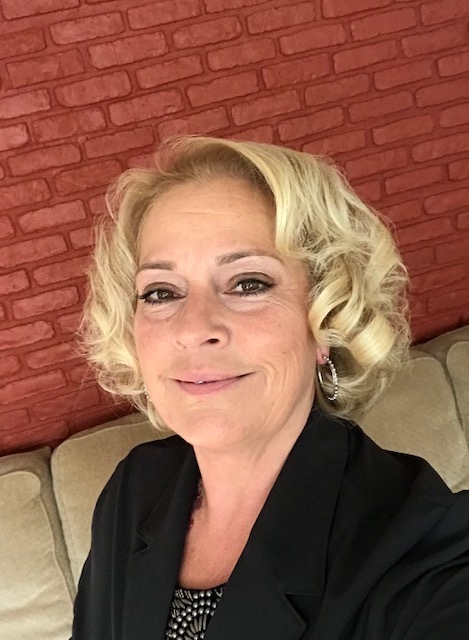 As a Berkshire native with a vast knowledge of its many small town neighborhoods, my aim is to use my knowledge of the area to represent sellers and assist buyers in finding their perfect dream homes. I am a graduate of the Gateway School of Real Estate and a proud alumnus of MCLA, with a B.S. in Business Administration. 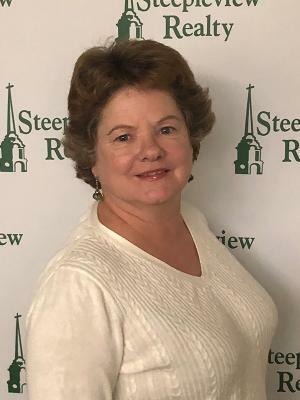 I am the liaison to the Williamstown Chamber for Steepleview Realty. I currently reside in Williamstown, Ma. where I raised my three children. I have lived in the Berkshires for most of my life and my family and I love what it has to offer. From outstanding music, theater and world class museums, to countless recreational activities, the Berkshires have it all. I would like to have the opportunity to meet with you and discuss your needs and wants for either the purchase of a future home or the sale of a present one. I truly enjoy what I do and look forward to hearing from you. I have lived in Berkshire County all my life. I enjoy outdoor activities in my spare time, such as running, basketball, and skiing. I've been working and investing in Real Estate since 2010 when I started with fixing and flipping properties. I have always had a passion for real estate and am eager to learn every aspect that the field has to offer. I can't think of a better place to continue working in real estate than with Steepleview Realty. A University of Massachusetts - Amherst graduate with a degree in Economics and a focus in Finance/Marketing from Imperial College in London, England, I have worked in the financial sector for over 10 years. During that time I was the co founder of a private equity firm based in San Diego, CA, which was sold in 2007. I then turned my attention to commercial real estate where I helped put together an investment team that continues to purchase and manage properties throughout the country. As a Pittsfield native, I have decided to call the Berkshires my home and would welcome the opportunity to assist you in buying or selling real estate and prove to you why this is such a great place live. the community, and endless activities gives me the edge and the expertise to help you accomplish your goal of selling or buying a property. I look forward to serving you in your real estate sale or purchase whether its a single family home, multi- family, commercial , or land. A native of Northern Berkshire County with large family ties in the area. 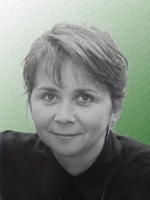 First licensed in Real Estate in 1993. I consider real estate my career, not a job. My passion and experience allows me to mentor new fellow realtors and watch them succeed in the industry. My extensive experience includes working with both buyers and sellers with special interest in commercial real estate. 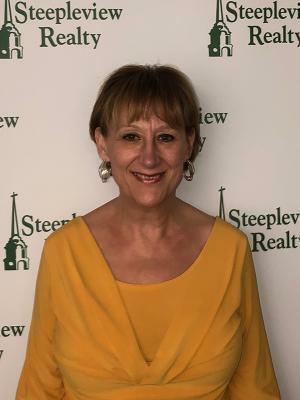 I'm elated to be part of the Steepleview team and look forward to working with you for all your real estate needs. Amal Gerlitz ( Sales Associate) A Pittsfield native. Recently married I live in Pittsfield with my family. I chose to stay in the Berkshires because of all it has to offer from the amazing artistic culture to the nature that abounds us. I have a keen eye on the real estate market and I am excited to be able to share and help others find their homes in the Berkshires. 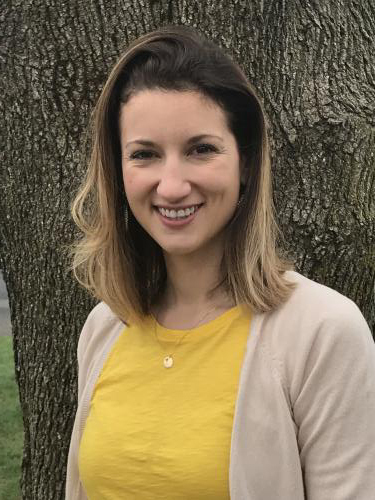 Amanda Dabrowski is a graduate of Massachusetts College of Liberal Arts in North Adams Ma and a Mt. Greylock High School in Williamstown Ma. 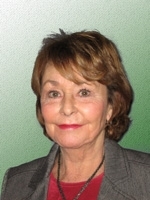 She has lived in Berkshire County for her entire life and has strong family roots and a large circle of friends. Her and her husband Jacob are raising their son Nolan in the Berkshires because they want him to be close to family and always be able to share with him the community that they grew up in. Amanda has over ten years of experience in the Banking and Finance world and loved helping customers with all of their financial dreams. She is extremely personable, detailed oriented, and knowledgable. 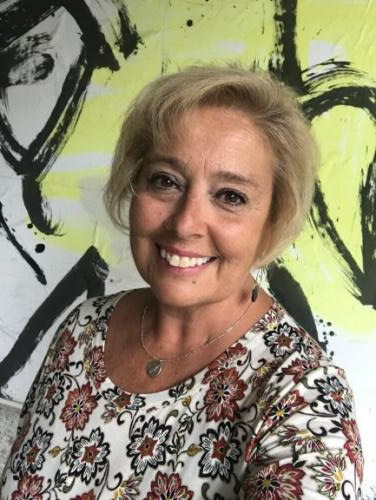 She is now perusing her career in real estate and is incredibly excited to assist clients with selling or buying homes in the beautiful Berkshires. A place that she believes in her heart that should be everyone’s “Home” or “Home away from Home” because of all that it has to offer. I was born and raised in Berkshire County. I am a mother of three and a grandmother of one. I come from a very large family and have strong roots in this community. I have been working in sales and client relations for over 25 years. I attended Gateway School of Realty and obtained my real estate license thereafter. 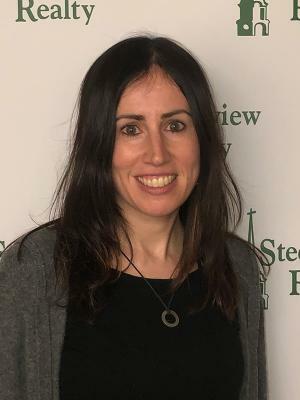 I am very delighted to be a part of the Steepleview team. I look forward to assisting you in meeting your real estate goals. Whether it be buying/selling personal or commercial property I’m here to help. 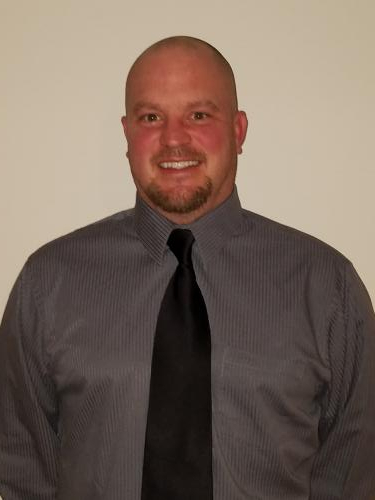 I am a Berkshire born resident, a graduate of Wahconah Regional High school as well as Berkshire Community College with an Associate’s degree in Human Services. I received my schooling for my Massachusetts Real Estate License from Gateway School of Real Estate. With a Human Services and previous sales background, working with individuals and families, I grew a real passion for Real Estate. I really enjoy living in Pittsfield and being a socially active part of the community with my husband Brandon, our son Everett and two dogs. 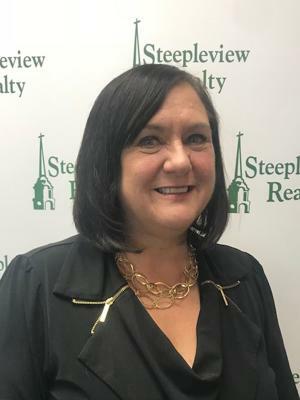 I am truly proud to be a part of the Steepleview family and I look forward to helping clients with their buying or selling Real Estate journey. I was born and raised in the Berkshires, and cannot think of a more beautiful place to live. I am a graduate of MCLA where I received my degree in Business Administration. I like to find volunteer opportunities where I can help promote the Berkshires. After attending the Gateway School of Real Estate, I obtained my Massachusetts Real Estate License. I look forward to helping you with all of your real estate needs! I am a long time resident of Berkshire County, having located here in 1980 from Schenectady, NY. My wife and I raised our three children in Dalton, MA. We relocated to Williamstown in 1998. Previously I was the controller for Coakley, Pierpan, Dolan and Collins until my retirement in 2009. While at CPD&C my wife and I invested in apartment houses. Once I retired I obtained my Real Estate license to further utilize my experience and financial background. I can assist you with finding your perfect home or help you sell your present home. Please contact me to discuss your real estate needs. I've lived in Williamstown for 15 years, 7 of which with a wonderful son Andy. From upstate NY originally, I have a Bachelor's degree from Union College and a Ph.D. in math from Brown University. In addition to teaching at Williams, I run math camps and do home design and renovation work with Seth Zepka, owner of Carlow & Zepka Construction, under our business Pacelli Zepka Companies. I love problem solving, from seeing the potential of a house to finding the perfect home for you and your family to presenting your home at its best to sell quickly and for maximum value. Whether you're looking for a fixer upper, investment property, or a move-in ready home, I look forward to navigating the entire process with you. I have been a Berkshire County resident all of my life. Although I grew up in Pittsfield, I have been living in Hinsdale for over 25 years with my husband, Rick and our son Cameron. As I have been working in a Customer Service based business for over 3o years, I value the importance of exceptional client care. I look forward to providing my real estate clients with the same experience and welcome the opportunity to assist you in either buying or selling your home. My wife and I are lifelong residents of Berkshire County and cannot imagine a better place to raise our two children. After operating my own contracting business for 15 years and most recently working as a Facilities Manager, I have always been interested in a career in Real Estate. Selling or purchasing a home is one of the biggest decisions someone can make. My goal as a licensed Real Estate Agent is to make the process, from beginning to end, as easy as possible for our Clients. 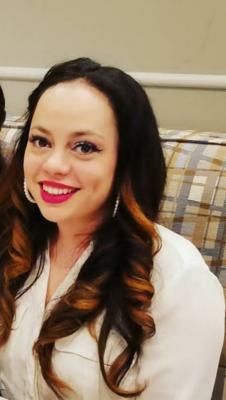 Noelani Castro (sales associate), born and raised in NYC until 2003 when I moved to the Berkshires during high school. I graduated from Lee High school and hit the ground running into the work force. I am currently living in Pittsfield with my daughter Everly. I absolutely love living in the Berkshires and I am proud to call this my home and raise my daughter here. I attended Gateway School of real estate which gave me all the resources I needed to get my real estate license. 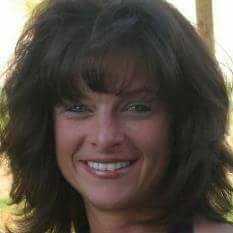 I have been in the sales industry for 10 years now as a loan officer. During that I realized how much I loved the real estate portion of my job, meeting new and amazing people while helping people button up transactions as easy as possible. I believe that customer service is # 1. I am thrilled to be at steepleview as we share a lot of the same core values. I look forward to seeing if I am a good fit for your family.